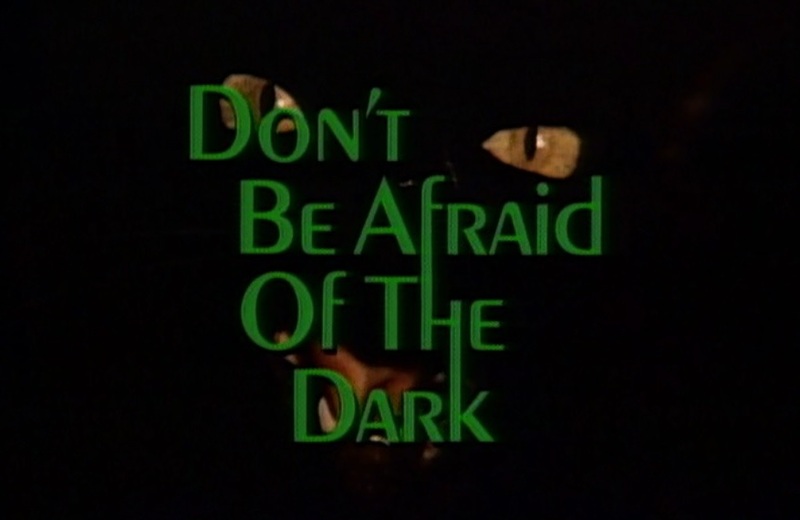 Don’t Be Afraid of the Dark, which aired on October 10, 1973 on ABC, stars Kim Darby as a nervous homemaker who inherits her grandfather’s massive—and decrepit—mansion, complete with a caretaker who’s constantly warning her that “some things are better left alone” when she finds a tightly sealed fireplace in a shadowy room under the staircase. Which, of course, she opens in the name of “updating” the home. Soon, she’s plagued by voices calling her name, flying ashtrays, and trip cords across her main staircase—and no one believes her. Kim Darby’s Sally messes with the sealed fireplace in the strange little room under the stairs in her new home. Even worse: now Sally has the fireplace opened up and is peering straight down into nothing. It terrified me; I didn’t sleep for days. 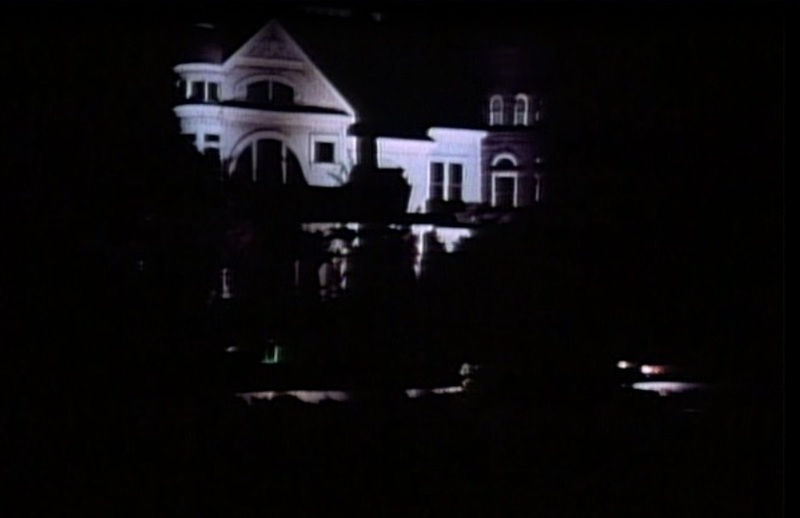 But life moved on, and as I got older, I remembered it only as “the one with the creatures that live in the fireplace that goes all the way down to hell,” accompanied by a mental snapshot of the film’s final image—the imposing house in which it takes place—and a chilling audio replay of the villains’ sinister whispering. In this effective moment, one of the gremlins peers out at Sally from the flower centerpiece on her dining room table during a dinner party. It’s the first glimpse we get of the creatures. This was one of the scariest things I’d ever seen. I was afraid of my mother’s flower arrangements for weeks. During a very important dinner party for Sally’s husband, this gremlin keeps pulling the napkin off her lap. I finally rediscovered this in 2010. 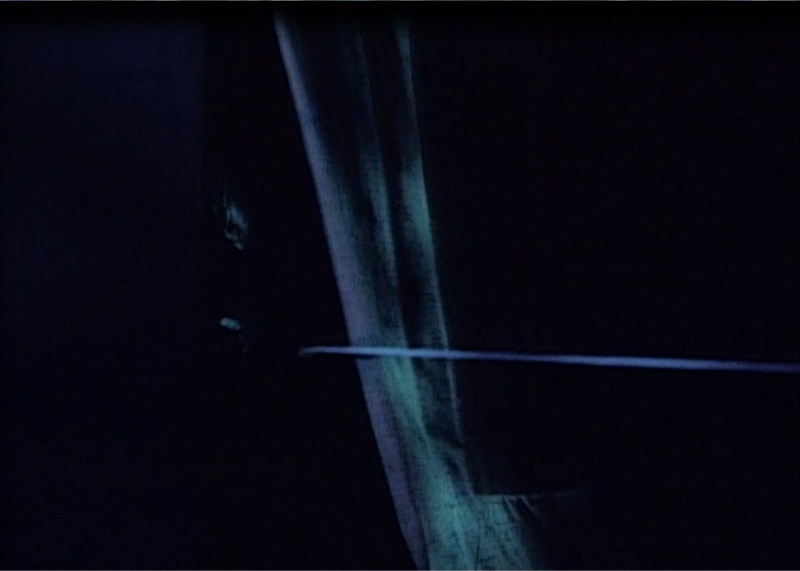 While it certainly didn’t scare me a second time around, there is much to be admired: the simple special effects—curtains moving on their own, shattering ashtrays, threatening whispers and obscured demonic faces—hold up in most places and are even still unsettling. It’s also loaded with symbols, and is a well-paced, conflict-ratcheting, solid story that makes a comment on the then-contemporary Women’s Lib movement: a woman’s continued oppression could drive her mad. Others made the same connection; Tom Chick and Chris Hornbostel discuss this in a little more detail in a 2013 article here, and Kindertrauma examines the movie’s themes of identity crisis as it pins it in the class with The Haunting and “The Yellow Wallpaper” here. The gremlins have just killed Sally’s designer by setting up a trip cord across the grand staircase. Here, Sally tugs of war with them — while they’re whispering to her, “We need your spirit!” This moment particularly messed with my head. Don’t Be Afraid of the Dark is available on Amazon as a “Special Edition”—which only means it’s been “remastered” (there are no special features). Most of the film is dark and grainy, with not-so-great sound, but it’s still got charm, and we are lucky it’s out there at all. If you want to pick it up, you can get it here: http://a.co/7dUccTo. This is the image that remained in my mind for so many years. We hear the gremlins whispering, and we hear Sally comforting them, saying “they will come, you know they will” — implying that a new family of victims will arrive in due time. I heard the audio that accompanied this scene in my head for many years. Posted on October 16, 2017, in Horror Movies, Tot Terrors and tagged 1970s scary TV movies, Don’t Be Afraid of the Dark 1973, Kim Darby 1970s movie, movie with fireplace that goes to hell, movies about the Women’s Lib movement. Bookmark the permalink. Leave a comment.